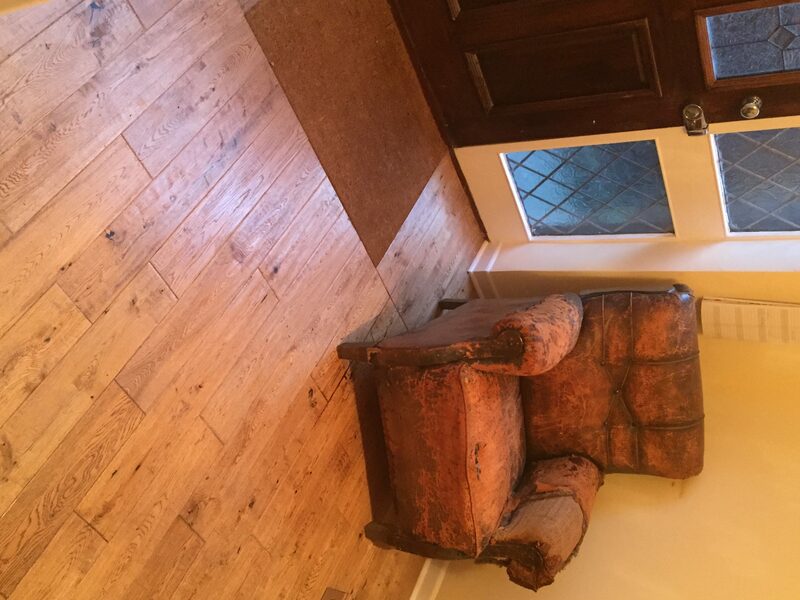 Laminate wood and solid hard wood floor fitters and fitting service based in Peterborough, covering the surrounding area. Real wood flooring is extremely versatile and we offer products for all different kinds of uses; wood flooring for areas that will have heavy use, flooring for bathrooms or kitchens and flooring suitable for fitting on top of underfloor heating. Laminate flooring is a extremely popular and more affordable alternative to hardwood flooring that can cost up to ten times the price of laminate flooring. Laminate flooring is light, durable and is available in many different styles to imitate the look of expensive flooring such as hardwood, ceramic and even natural stone. As well as providing a floor supply and fitting service for residential properties in and around the Peterborough borough area, Peterborough Improvements can also provide solutions for commercial premises. Would you like a free quotation to fit new flooring? What fantastic work Paul as done. New fence looks great and they completed the job very quick. I would highly recommend to anyone who is needing work done. Absolutely top notch job completed quickly and for the best price we could find. 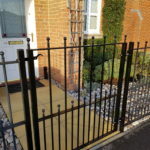 Just had Shaun and his team custom-make and fit a garden gate to existing railings at my Mum's property. In short, they were fantastic! They delivered ahead of time, on the quoted price, and kept us informed every step of the way. I couldn't recommend them, their people, or their work highly enough. Just had Shaun and his team custom-make and fit a garden gate to existing railings at my Mum's property. In short, they were fantastic! They delivered ahead of time, on the quoted price, and kept us informed every step of the way. I couldn't recommend them, their people, or their work highly enough. Truly 5-Star service !! 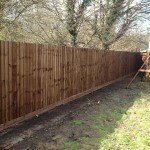 Great job on the fence, will contact you regarding further maintenance jobs. 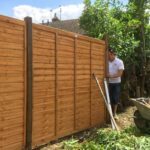 Impressed and delighted having moved to Peterborough a month ago, I had no knowledge of the local tradesmen but knew that I wanted a quotation for replacing old fence in the rear of the property and an extension of the driveway at the front of the property to incorporate a pedestrian gate. I telephoned several companies but was not happy with the first impression they gave or the quotation afforded to me. 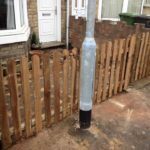 Peterborough Improvements impressed me with their excellent communication, quotation, professionalism and great attention to detail in the process of completing the job. The work carried out is of optimum standard and I am delighted to have chosen this company. Shaun and his skilled team of professionals are a breath of fresh air! 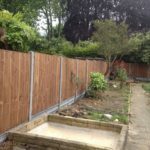 Impressed and delighted having moved to Peterborough a month ago, I had no knowledge of the local tradesmen but knew that I wanted a quotation for replacing old fence in the rear of the property and an extension of the driveway at the front of the property to incorporate a pedestrian gate. I telephoned several companies but was not happy with the first impression they gave or the quotation afforded to me. 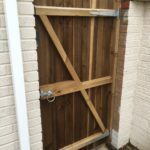 Peterborough Improvements impressed me with their excellent communication, quotation, professionalism and great attention to detail in the process of completing the job. The work carried out is of optimum standard and I am delighted to have chosen this company. Shaun and his skilled team of professionals are a breath of fresh air! Very happy with the quality of the work. Can highly recommend. Shaun and Paul have been excellent. They came out to me to measure up and gave me a quote which was the best I had managed to find. 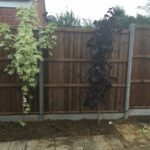 We agreed to install the new fence the following week and they turned up on time, they removed all the hedge and rubbish and even included a couple of gravel boards for free. Would not hessitate to use Peterborough Improvements again. Thank you. 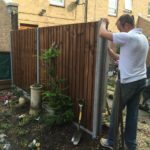 What can I say, Paul and the guys have done an absolutely fantastic job on the fence, it was a lot of work but they turned up as promised and got the job done over 3 days. Already have them quoting for my patio and bathroom. Cannot recommend these guys enough. 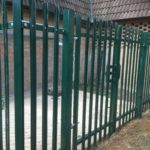 Would like to say very many thanks for doing such an excellent job of putting up our new fencing and getting rid of the old bushes and trees. You can be very sure we will be recommending your company to our friends and family.